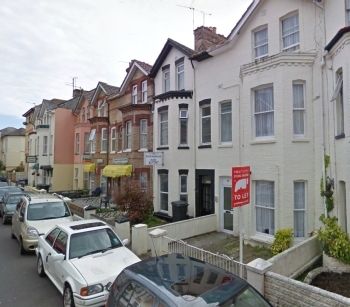 Bournemouth Borough Council: Pure Town Planning have recently secured planning permission for the conversion of a 3 storey guesthouse to 4 holiday lets and 1 residential apartment located in St. Michael’s Road just west of Bournemouth Town Centre. The existing property consists of a 7-room guesthouse set within St. Michael’s Road which is an area dominated by tourism accommodation ranging from small scale B&Bs and guesthouses to large scale hotels. As the property is located within the West Cliff and Poole Hill Conservation Area, it was important that the development would not create an adverse impact on the character and appearance of both St. Michael’s Road and the conservation area. The conversion of the guesthouse to holiday lets/residential use has been designed without any external alterations to the existing building, therefore retaining its traditional appearance and respecting that of the wider area. The conversion of the building will provide an additional residential apartment in a highly sustainable location whilst re-invigorating the tourist accommodation potential on site through revamped holiday lets on the West Cliff, which cater for the ever changing needs of today’s tourist market. If you are wondering whether you are missing an opportunity to convert or redevelop an existing hotel/guesthouse property, then we would be happy to advise you. We offer a confidential FREE half hour consultation, so to discuss the potential development of your property please call us on 01202 585524 or email info@puretownplanning.co.uk to find out how we may be able to help.